Windows Home Server is a home-based server operating system from Microsoft, where interested user can request for a free evaluation kit with installation DVD with 120 days activation free grace period to be delivered to user’s doorstep. To continue using Windows Home Server beyond 120 days free evaluation trial period, user will require to purchase a legitimate license, or try the following hack to crack and bypass the Windows Home Server activation requirement. Type regedit into the Run text box and press Enter. Note: From this step onward, the cracking process must be performed as quickly as possible, as it hacks activation stuff and Windows may change back the setting if there is a delay of more than few seconds. 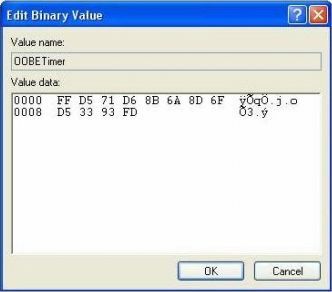 Locate a string value named OOBETimer. Right-click on OOBETimer, and click on Modify. Change the value to FF D5 71 D6 8B 6A 8D 6F D5 33 93 FD. Right-click on WPAEvents and select Permissions…. Uncheck the check box for Inherit from parent the permission entries that apply to child objects. Include these with entries explicitly defined here. From there, highlight the SYSTEM line, and click Edit. Choose the Deny option to ban all users from accessing and editing the key. After the hack, Windows Home Server should run completely as a free copy, with users able to access Windows Update to get latest hotfixes and patches. The crack does not require BIOS mod. To verify that the activation crack works after restarting the system, go to Start -> All Programs -> Activate Windows. The dialog should say Windows is already activated. Alternatively, go to Start -> Run and type oobe/msoobe /a. Note: Some users reported that the method does not actually remove the activation grace period, even though it makes the system activated. Disclaimer: This article is provided for informational purpose only.